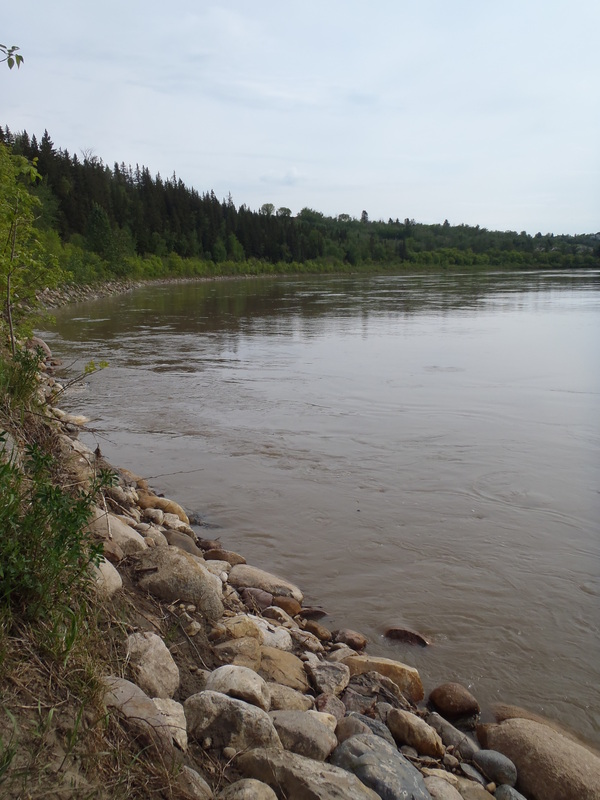 When I first started riding my bike to work several years ago, I had a department store “mountain bike” and my commuting route often took me along the unpaved trails in the river valley and Mill Creek ravine. As the years have passed I’ve acquired better bikes and have gradually shifted focus to riding more on the roads and paved trails. This is partly because I’ve mostly been riding road bikes and partly because I’ve allowed my early rising discipline to erode, resulting in a sprinting, mad dash to work most days, along the shortest possible route. While this hurried commuting is certainly good from a fitness perspective, it definitely diminishes my ability to take advantage of the variety of routes. 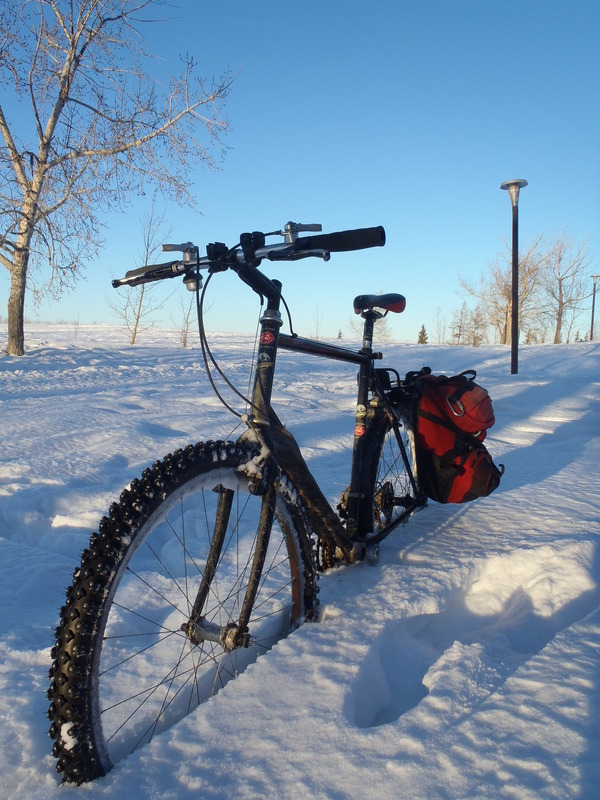 After my great trail ride on Sunday, I was keen to try riding the Ravine Bike to work. In fact, I was eager enough that it actually gave me the motivation drag myself out of bed early yesterday. I rode a mixture of mostly singletrack and gravel trails all the way to work and back home again at the end of the day. I zipped along paths I haven’t been on in a long time and explored some new ones, discovering some pretty great singletrack. After this ride, and my major trail discovery on Sunday, I’m starting to realize that this stuff is quietly waiting just out of sight all over the place. Near the beginning of my trip home. 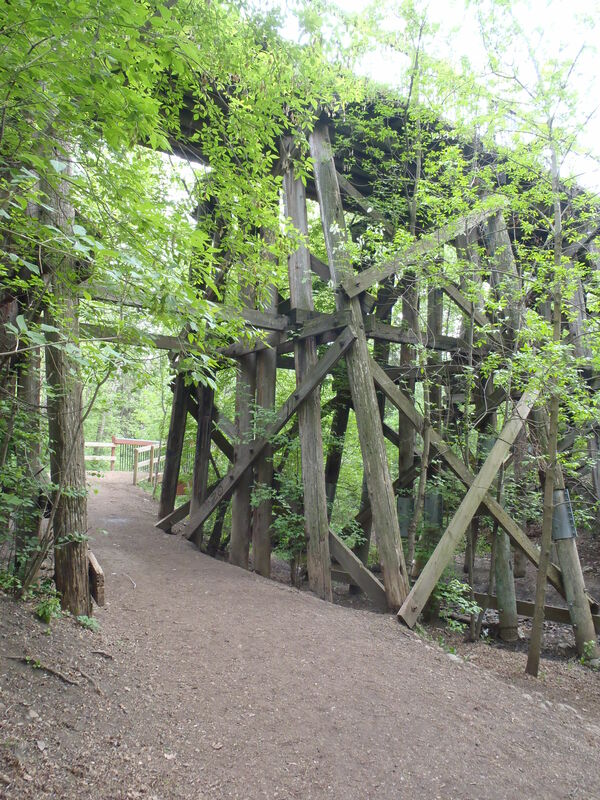 I’ve always felt an impulse to climb onto the supports of this bridge with a musical instrument and play a few tunes. 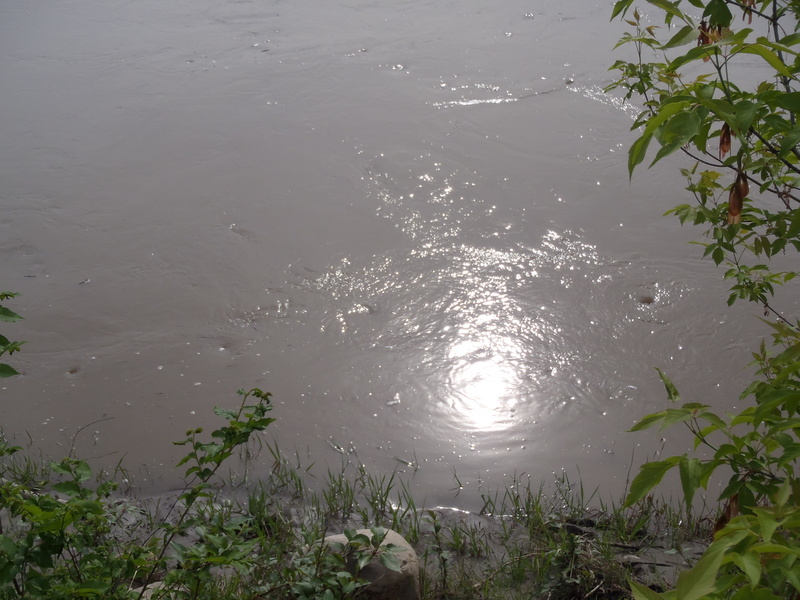 Could there be troll blood in my family tree? There were a lot of ominous eddies and vortices. They looked much more impressive in person than they do in this picture. As commuting routes go, this is simply fantastic. 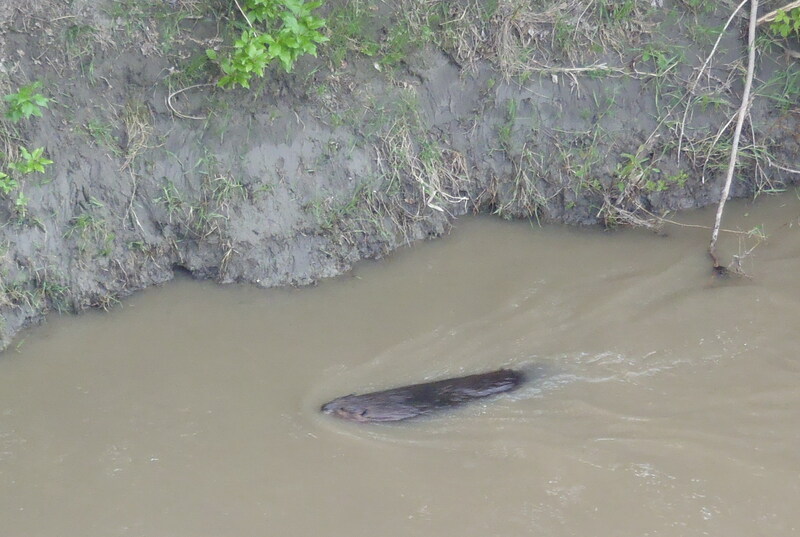 This beaver was making surprisingly good time swimming against the current. As great as the riding was, I wouldn’t want to do it every day. I think some of the fun would be lost if it became just another routine. 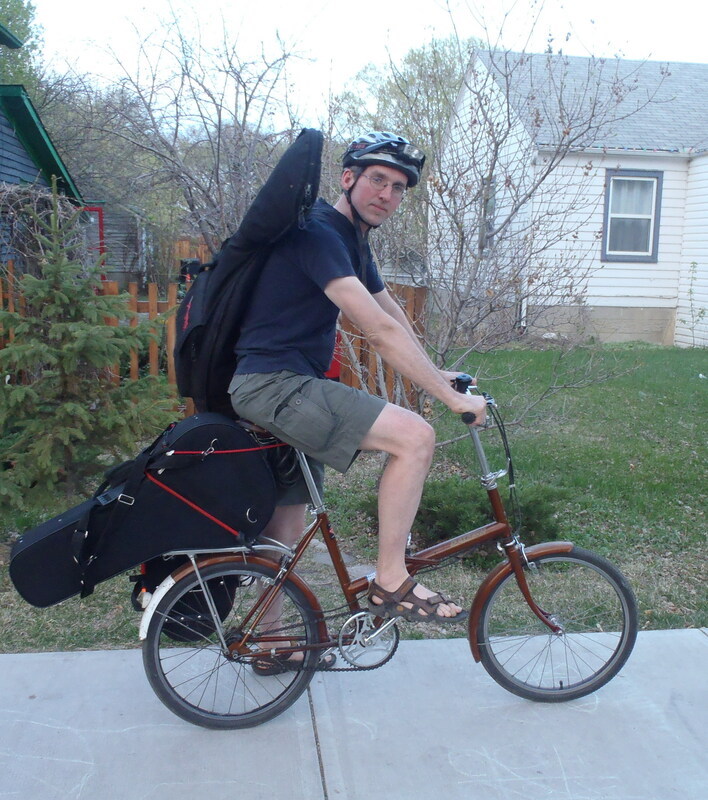 I do, however, want to start riding the mountain bike to work on a regular basis. Perhaps once a week? 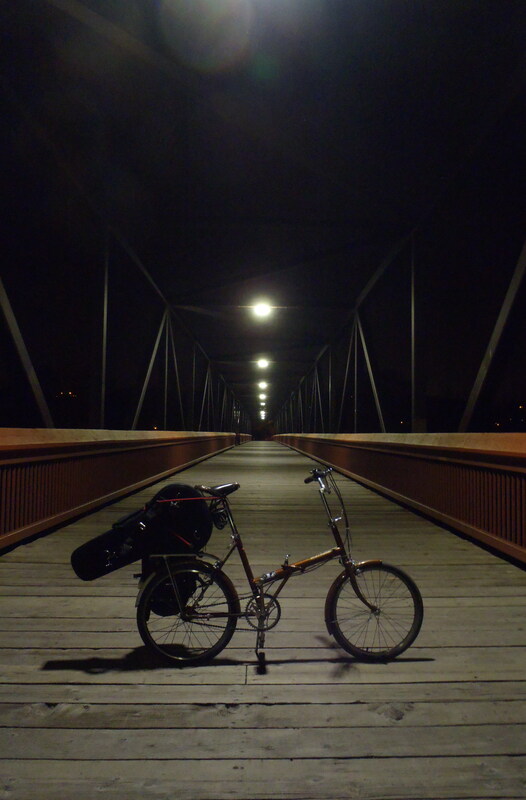 There is another advantage to consider: the lack of racks and cargo capacity on the Ravine Bike gives me a perfect excuse for not running any shopping errands on the way home. 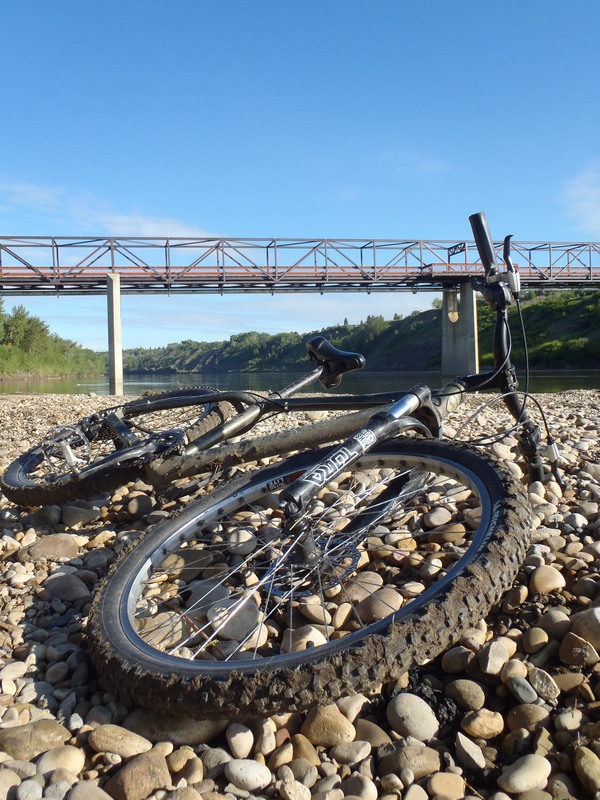 Today, I got up in the wee hours of the morning and took the Ravine Bike down on the river valley trails for a fantastic three-hour shakedown ride. This is the first real ride I’ve taken it on since I finished building it up this past winter. How good was it? 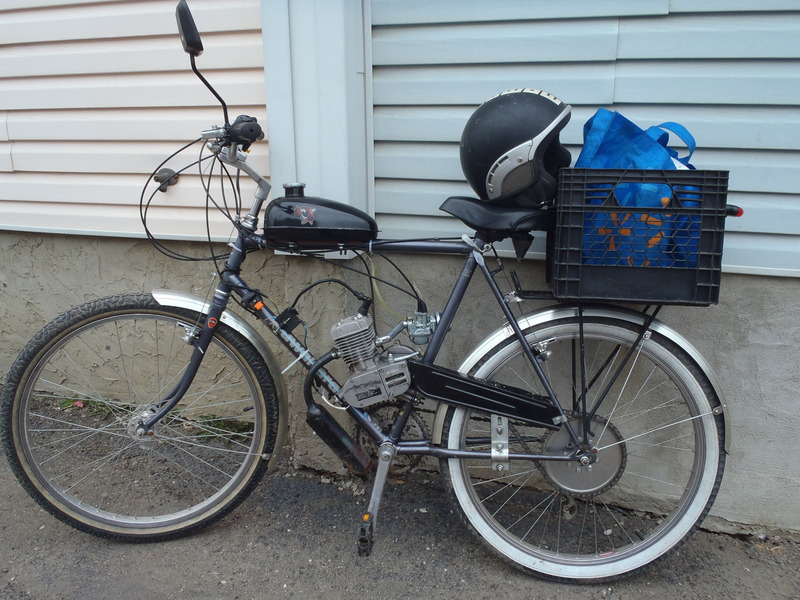 It was so good that I almost posted my next “Bike of the Week” entry five days early. It was so good that even spending one-and-a-half hours cleaning out the fridge after the ride couldn’t dampen my enthusiasm. It was so good that I want to go do it again RIGHT NOW. 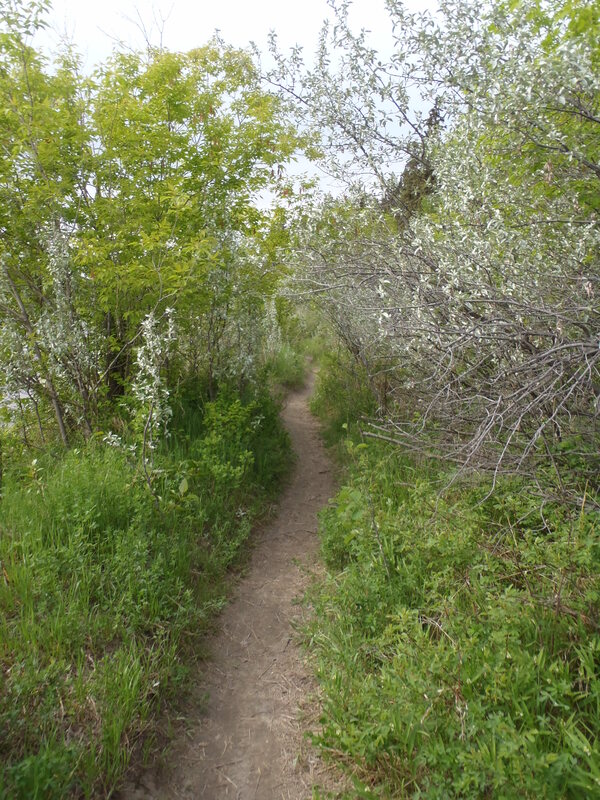 The weather was beautiful, the river valley is bursting with greenery , and the bike gobbled up the trails. Even the lingering effects of a bout with asthma yesterday couldn’t bring me down. 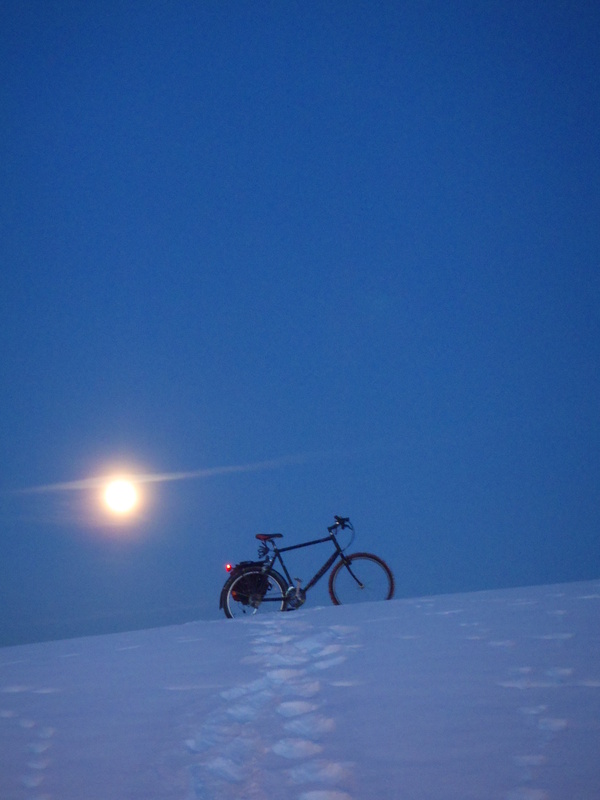 This past long weekend I finally – after what seems like an eon since the distantly remembered autumn – finally, got out of the city for a moderately long ride. 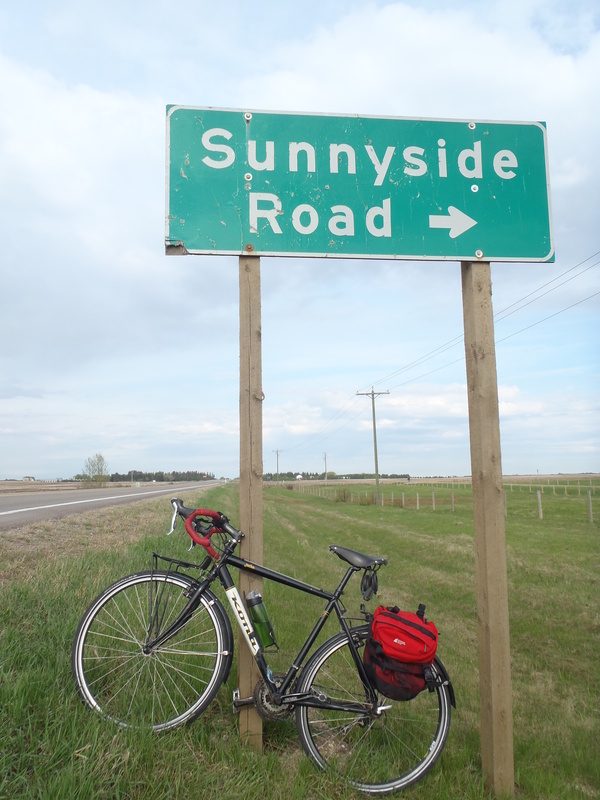 Though I’d planned a ride between 75km and 100km, it ended up being only 50km. Still, a good inaugural ride for the season. Despite the forecast of gloom and showers, the weather of the day lived up to the promises of this sign. Last summer I took a number of rides through the countryside north of the city. 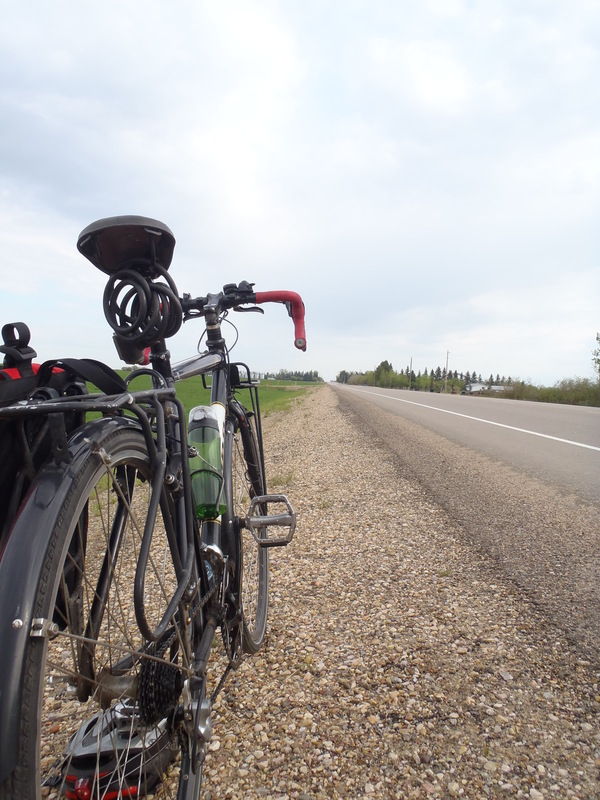 This year I want to explore the many unpaved township and range roads in the area. With this in mind I brought the Kona Jake on this first trip. It’s a sort of rugged road bike that is great at handling a mixture of paved and gravel roads, rolling nicely on the 700 X 35 Schwalbe Marathon Dureme tires. 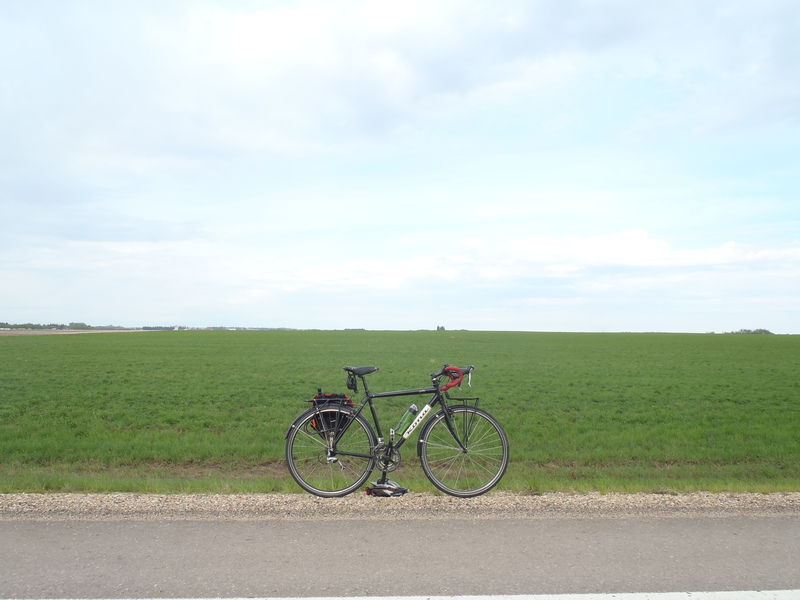 There was a stiff headwind as I rode out of city, but I was happy enough to finally be on the open road that it didn’t much bother me. I took my normal route up 82nd street and over the Henday, then over to 50th street and north from there along familiar territory. When I finally reached one of the roads I wanted to explore I discovered that it appeared to have been recently graded: new loose gravel and loony sized rocks covered the entire road surface. I tried riding along it for a ways but it was very rough going, with my wheels occasionally firing little stones off to the side with pop and whine. I persisted for about a kilometer but was not really all that disappointed when my phone rang with a call summoning me home. I’ll go back and try the road another time once it gets packed down a bit. There’s not much shelter from the wind out on these roads. As I sped homeward with the wind at my back, back I encountered a large group of road cyclists on their way north , I assume on a club ride. There were between 20 and 30 of them spread out into three groups, appearing to take the business very seriously as they were pedaling with a rather intense look and for the most part declined to acknowledge my friendly nod and wave. I did get a companionable “hello” from one fellow and a cheerful, sunny smile from one woman. I suppose I didn’t really fit in with the Lycra Lodge what with my sandals and socks, 3/4 length cotton pants, commuting helmet with lights strapped on, and baggy jacket snapping in the wind like a flag. The rest of the ride home was speedy and uneventful. 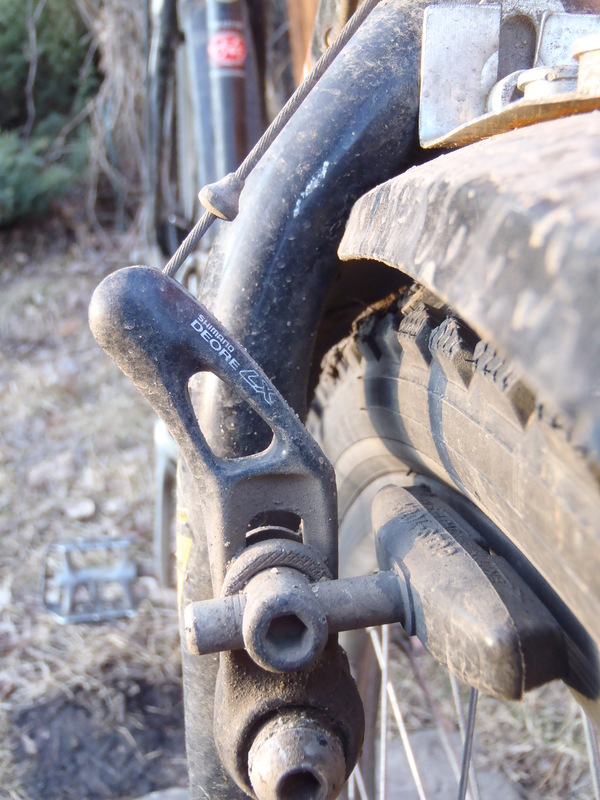 It was a nicely gentle start to the seasons riding and next weekend I hope to manage a longer ride. 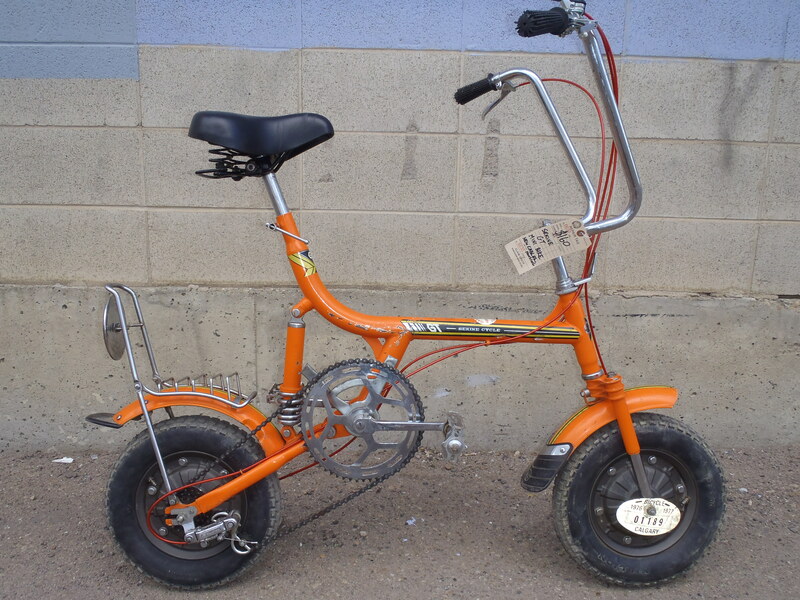 Bike of the Week: ’70s Sekine GT Novelty Mini Bike. 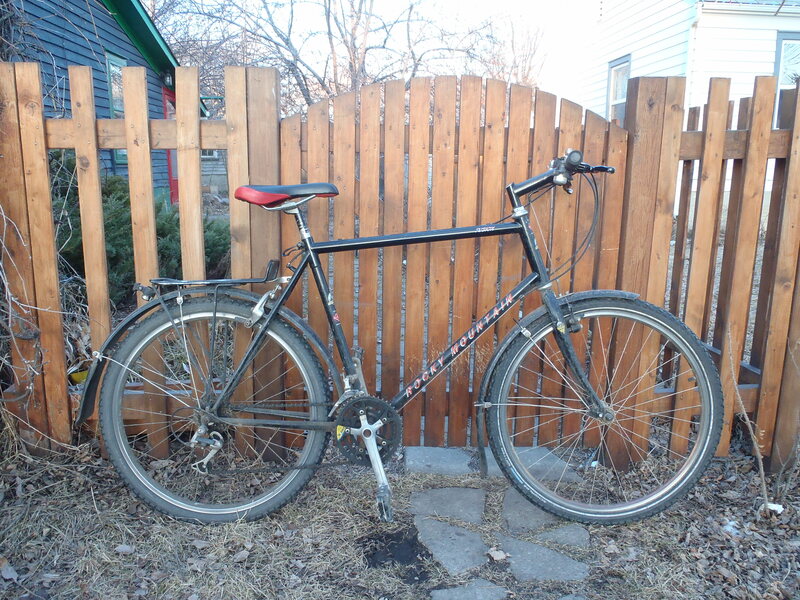 This week’s bike is a weird but fascinating old Sekine GT that showed up this past week as a donation at Bikeworks North. 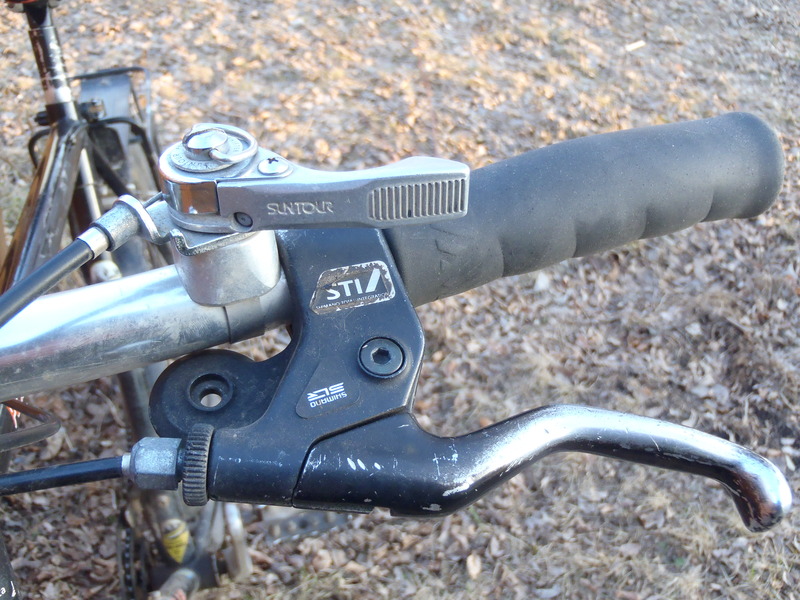 Since I first spotted it, the Sekine GT has been clouding my mind with a befuddling fascination. I don’t actually want the bike, but I keep looking it over each time I’m in the shop. It’s so peculiar that it draws the eye. 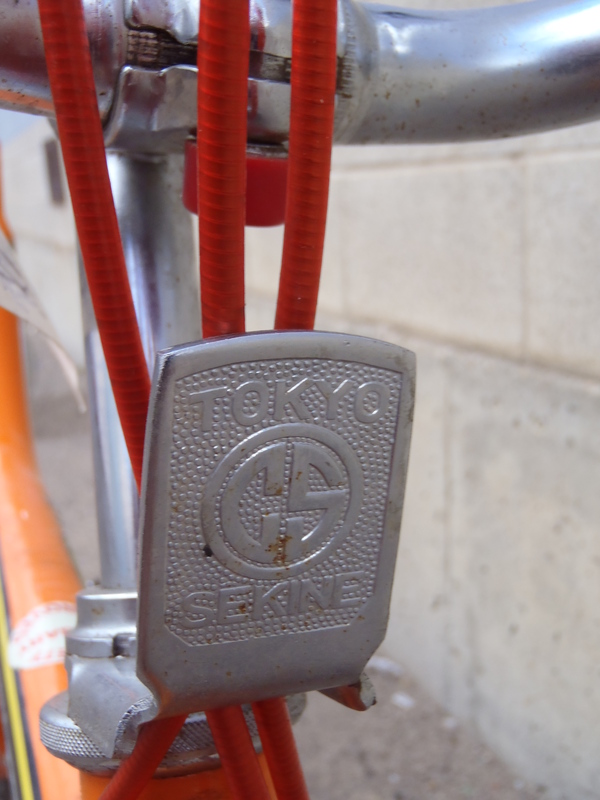 Sekine was a Japanese company that made bicycles for many decades. 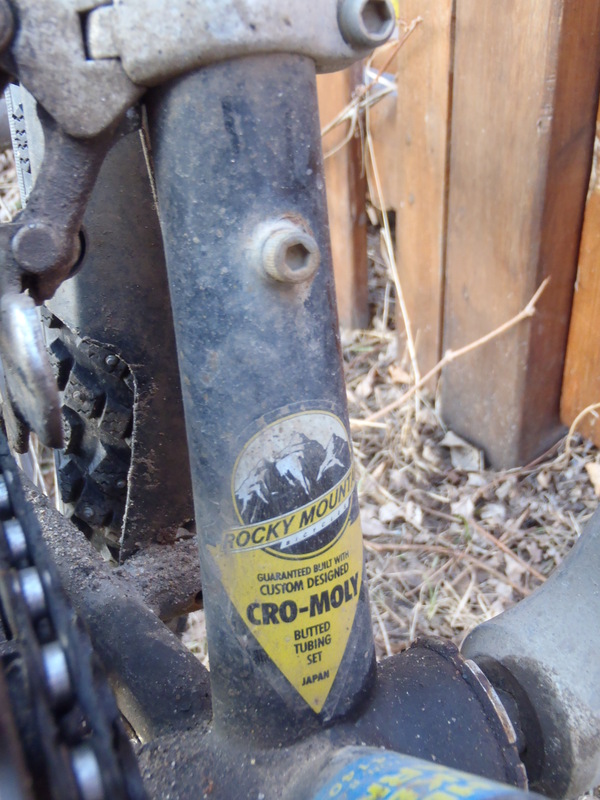 They’re fairly well known here in Canada because during the bike boom of the ’70s they opened a factory in Manitoba. 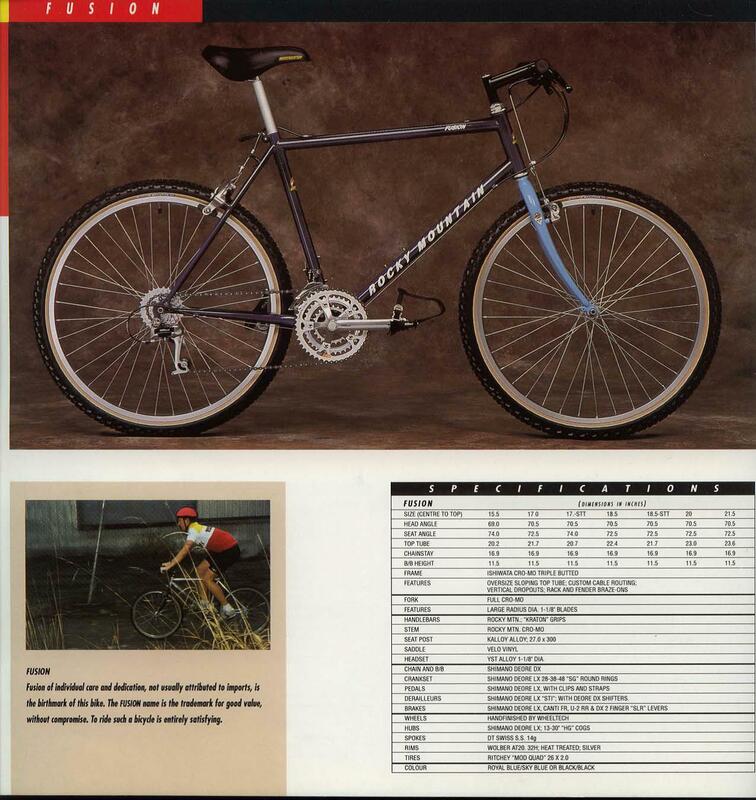 At the time the Canadian government had imposed some very high tariffs on imported bicycles (doubtless at the urging of the dominant domestic bicycle maker CCM) and Sekine was able to avoid this tariff by assembling most of the bike in Canada. 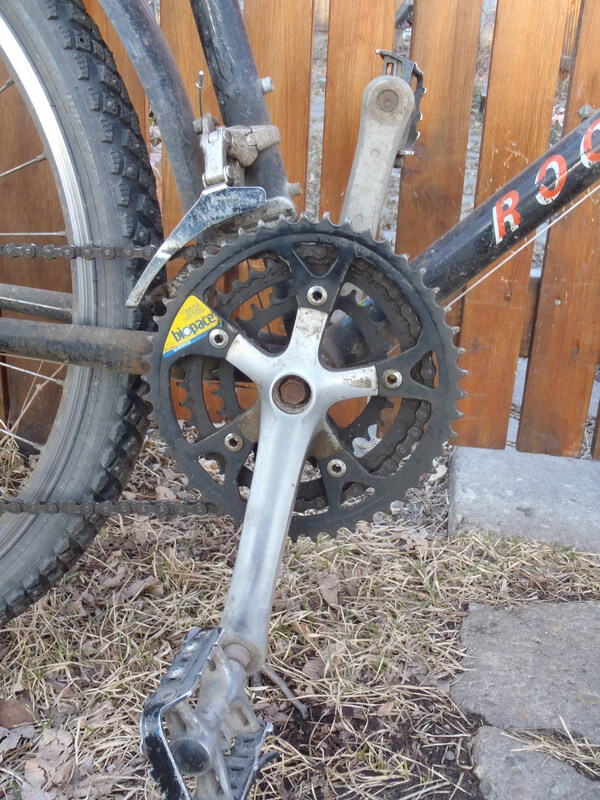 The bikes were of good quality and sold well.I have seen many old Sekine 10-speed road bikes here in Edmonton. This Japanese made Sekine GT is a different and fascinating little beast. I can find no reference to it on the internet, and perhaps they didn’t make very many of them. 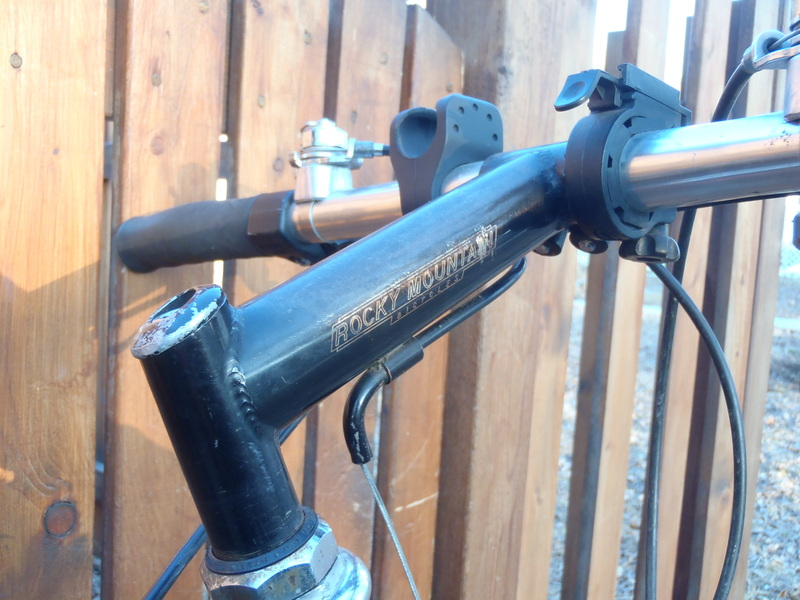 Here is a combination you don’t see every day: a cottered crank and rear suspension! 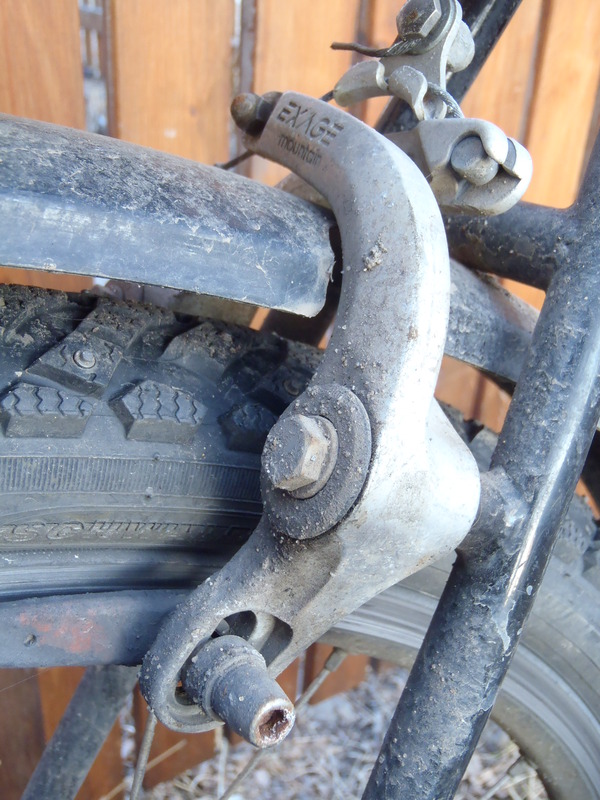 It’s interesting how this suspension system isn’t wildly different than modern mountain bike suspension. 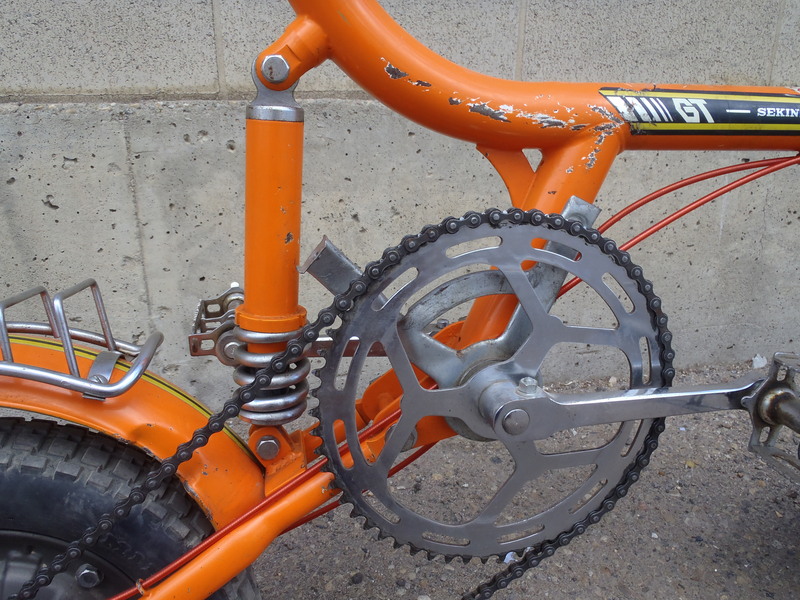 The big 57 tooth chainring is paired with a little 3-speed freewheel in the rear. 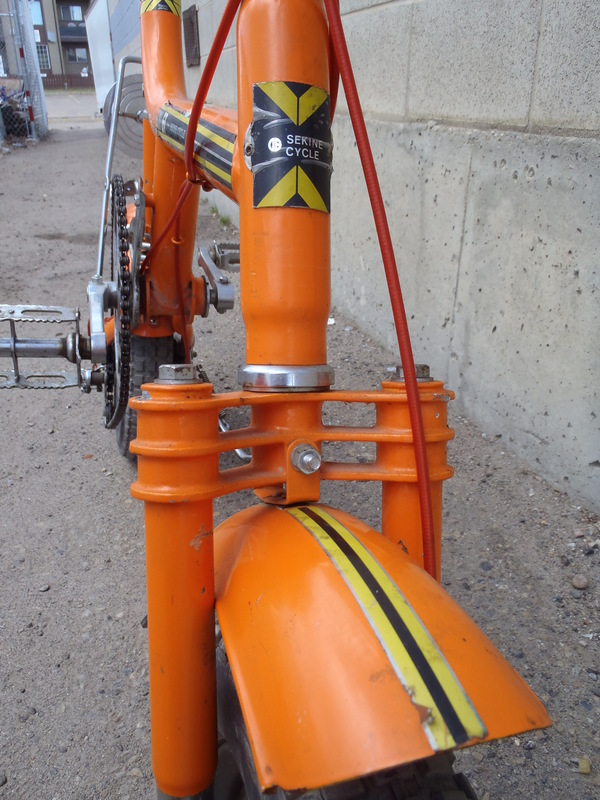 I love the look of biplane fork crowns on old bikes. This is the first “triplane” I’ve seen. 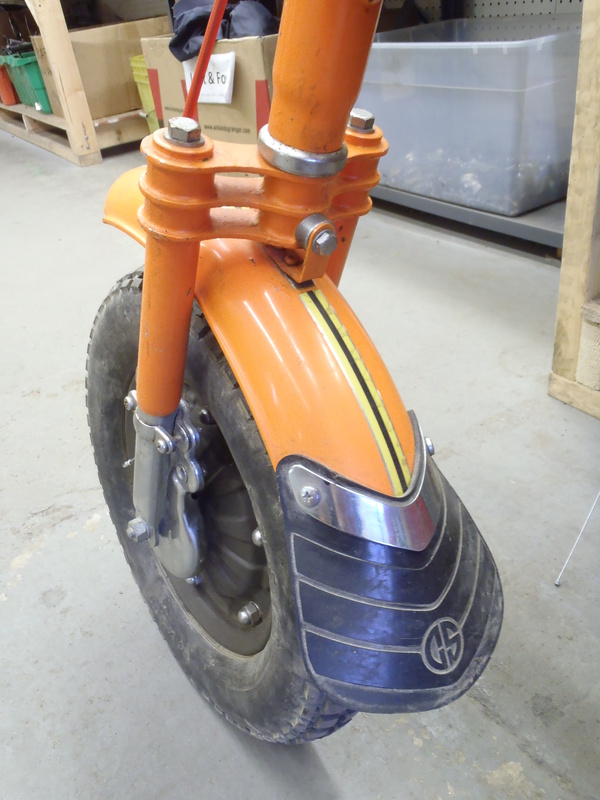 If I owned this bike I might call it “The Orange Baron”. 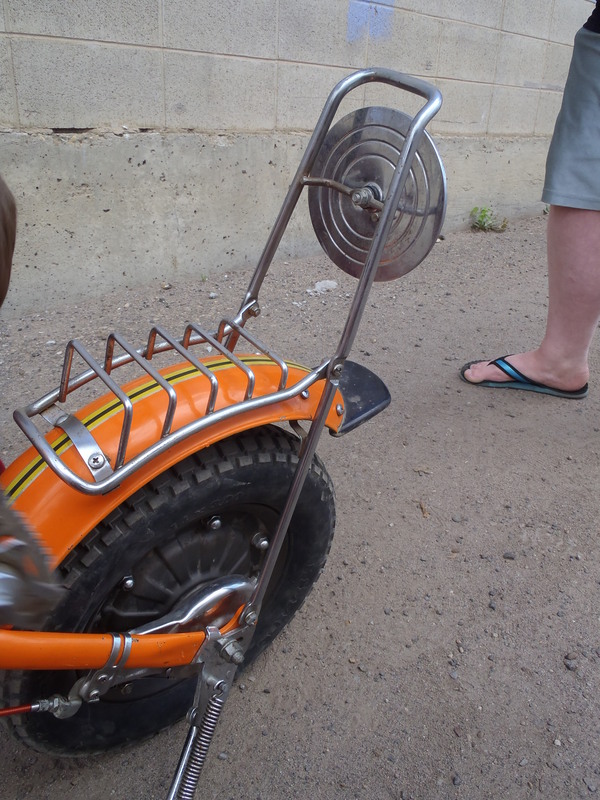 Very funky rear rack-like object. 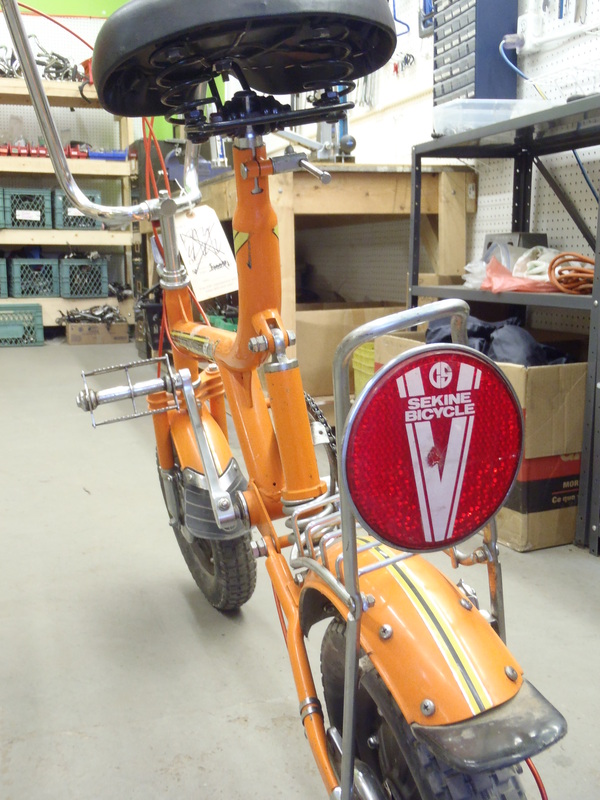 A huge Sekine branded reflector. 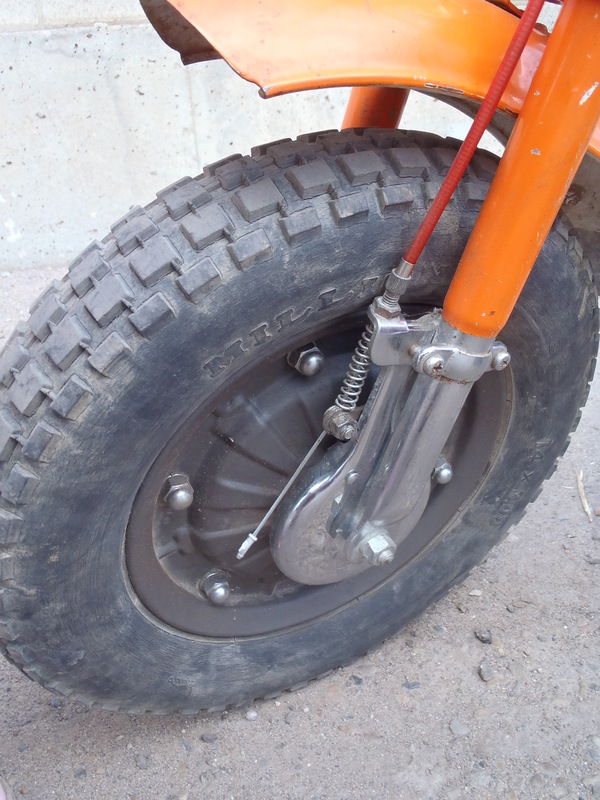 It has 14″ X 3″ tires and band brakes for both wheels. 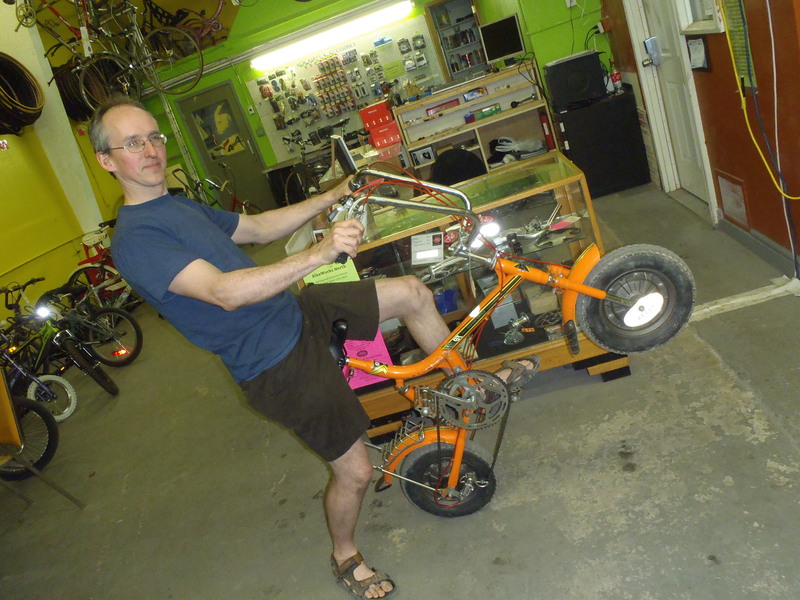 This crazy little bicycle will make some collector very happy.